Those Candidates qualified in the written exam. Then they are shortlisted for an interview by a Services Selection Board which evaluates a candidate's suitability for a career in the Indian Armed Forces. 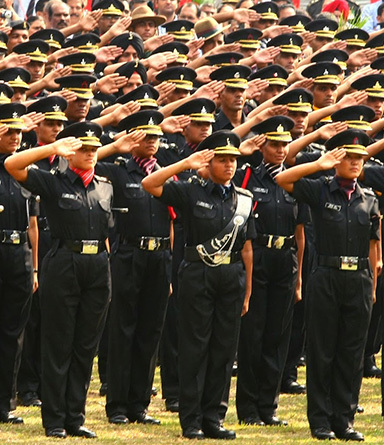 The SSB interview lasts for approximately a week, during this process a candidate undergoes various physical and psychological tests to ascertain whether or not he is officer material. Apart from SSB interview, Air Force academy candidates (only those who have applied for flying branch) are tested for PABT. After these tests, candidates undergo medical examination before finally admitted into the above-mentioned academies, and after successful completion of training, they are inducted into the armed forces.